BMW E46 M3 CSL. And I finally have one. Buying it was probably one of the most irrational things I have ever done. At the same time, it was definitely one of the best decisions I have ever made. Ever since I have had it, my heart rate has not been the same. I sleep less. I live more. Good thing I am writing this at a car-enthusiast forum, otherwise you’d think I’m just crazy. This car has inspired me to drive it, take care of it, study it, photograph it and write about it. My CSL story has been published in BMW CCA Roundel Magazine (Dec 2011) and in BMW Club Finnland Bemaristi Magazine (3/2011). This post will include even more information and photos. When reading, please remember that I am not a car professional, far from one. I am just an average person now driving a much-more-than-average car. The text is about my opinions and findings, and you are welcome to participate in the discussion and offer your point of view. In 2003, from June to December, BMW made 1385 CSL versions of the E46 M3. CSL stands for “Coupe, Sport, Leichtbau”, hinting that BMW had designed a car even faster than the standard E46 M3. All those small improvements together amount to quite a significant performance increase. At the Nürburgring, the E46 M3 has clocked a very impressive lap time of 8:22. The CSL has a time of 7:50. That is a night-and-day difference. As part of the extensive weight saving program, some equipment was simply left out. There is no navigation, sunroof, fog lights or leather seats. In fact, the car could even be ordered without air-conditioning and a radio, both being quite heavy items to drag around a race-track. And where it really counts, some parts were replaced by much more expensive lightweight items, such as the wheels, front apron, roof, bootlid, rear window and front seats. 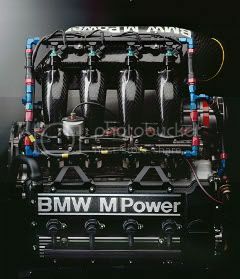 To further improve the performance, engine power was increased to 360hp, which is 17hp more than in the standard E46 M3. Suspension, steering and brakes were upgraded. Front splitters and a redesigned bootlid were included to reduce aerodynamic lift. And to perfect the masterpiece, semi-slick Michelin Pilot Sport Cup tires were the choice. BMW still wanted, however, to maintain the everyday usability of the car, so it continued to have some equipment that many sports cars don’t, such as rear seats (that even fold for extra storage capacity), power windows and mirrors, and reading lights for 4 people! Choosing the exterior color was made easy. Customers could decide between only two colors: Black Sapphire Metallic and Silbergrau Metallic. All CSLs have a grey interior (Stoff Amaretta Reflex Pur Anthrazit) with black roof lining and the same lightweight seats. There were few choices of optional equipment. Air-conditioning, radio/CD, park distance control, xenon-lights and car alarm were the most important ones. Although they do add weight, most cars still have them. Instead of the Michelin Pilot Sport Cup tires, a more conservative wheel and tire set-up was also available for those customers uncomfortable with the idea of semi-slicks. The CSL bootlid does not have a button that would open it. I guess this saves some grams of weight. Still I have wished a thousand times the button was there. If you don’t have the remote control key with you, there is no way to conveniently open the boot. You’ll have to walk all the way to the cockpit to push a button there. How often do you need to open the boot while sitting in the car? The button would be much more useful at the bootlid itself. The bootlid does have the (heavy!) lock to manually open it with a key, but again you have to have the key in your hand. Have you seen Top Gear’s review of the car? Jeremy Clarkson holds the remote behind his back and secretly presses the button as he opens the boot, making it look very easy. He is quite a magician! Even non-BMW-enthusiasts can tell that the fast car that just overtook them was a CSL, thanks to a badge on the back. And to ensure that the vehicle is correctly identified from all angles, CSL lettering is also visible on the sides of the car, replacing the M3 badges. This car is equipped with the optional xenon light and headlight washer system. A sticker on the windshield reminds the driver that the car is on semi-slicks. Driver should be careful when driving in very wet conditions or when the temperature is below 7°C (45°F). Michelin Pilot Sport Cup tires look very different compared to normal street tires. Tire sizes are 235/35 ZR19 (front) and 265/30 ZR19 (rear). Wheels are – of course – manufactured by BBS and their measurements are 8.5Jx19 (front) and 9.5Jx19 (rear). The brake discs have a diameter of 345 mm (front) and 328mm (rear). This car is running on the original “660” rear wheels that are very sought-after today. It is a bit funny that while the super-expensive carbon fiber roof is saving some 7 kilograms of weight, the vehicle still has many luxury items that add weight to the roof, such as coat hooks. Coat hooks even have a cool mechanism that folds them out-of-sight when not needed. And how often are they needed in a CSL? Illuminated make-up mirrors are a must, so that the driver can immediately fix his/her hair after removing the helmet. There are reading lights for 4 people. I can understand the ones in the front, for example the co-driver may need to view a map, but I have a feeling that the ones in the back are very rarely used. 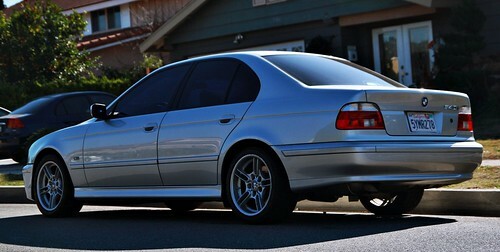 CSL also has four power windows as standard. My thinking is that their weight is very close to a manual system. And if the car has been ordered without the air-conditioning, being able to open the rear windows on a hot day can save the race. Melissa is demonstrating that the correct oil to be used is Castrol TWS Motorsport. Some people may also notice that there is no sound insulation on the inside of the engine hood. Thank you for reading this post and stay tuned for MUCH MUCH more! Anyway, looking forward to more pictures and story of the car! BMW E30 Cabrio M-Tech, a neverending story. Now with V8! Wow, OP of the decade? I think so! A great thread so far, I will be keeping a very close eye on Meliss- Sorry, I meant "this thread". I adore a CSL and yours is just as clean as they get... Have fun and drive it like it's meant to be driven! damn, i want one so badly. very good job on the pictures!!!! The pics don't load up on my work computer, did you host them on some restricted site? I will own one, one day. Need to finish undergrad in already foreign country and get a job in Europe to get a CSL. NorCal. N I N E R S BABY! I remember that article in Roundel! It was really good and made me very jealous. Have fun with your ultimate Bimmer and keep taking care of her!! Im speechless, your the man, i dont think ive ever seen one posted here. You should do us all a huge favor, and make a video, please, PLEASE!! Only flaw,in track use, might be the brakes. the difference between a 330i and an M3, is about the same as between an M3 and a CSL.